Balustrades are supplied with a cardboard cover to the handrail and polythene wrapped for on site protection. All packaging is designed to be carefully removed when fixing the component then re-applied once fixed to maintain the pristine condition of the product. 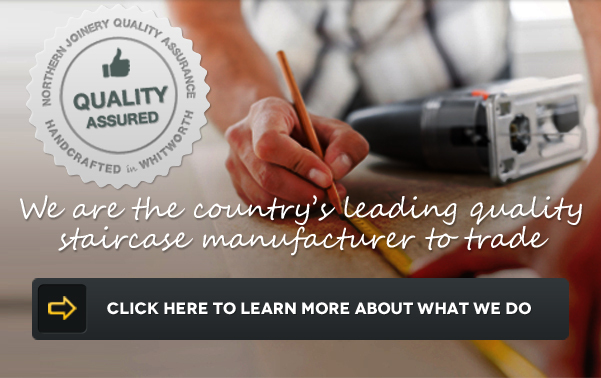 Pre-finished products are further protected with our 'Standard Staircase Protection'. This includes a cardboard wrapper to the outer strings and all newel posts individually packed in cardboard boxes. 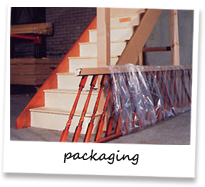 Optional 'Full Flight Protection System' is in addition to our standard staircase protection. This includes for a polythene sheet covering the treads and risers with a wide hardboard tread protection piece fastened on top of each tread. Also included are triangular cardboard sleeves to the inside of exposed stringer faces together with self adhesive plastic protection where necessary.